Children are one of the major audiences for museums, but their visits are often seen solely from the point of view of museum learning. In Snapshots of Museum Experience, Will Buckingham draws upon Elee Kirk’s research amongst child visitors to the Oxford University Museum of Natural History, to take a different approach. 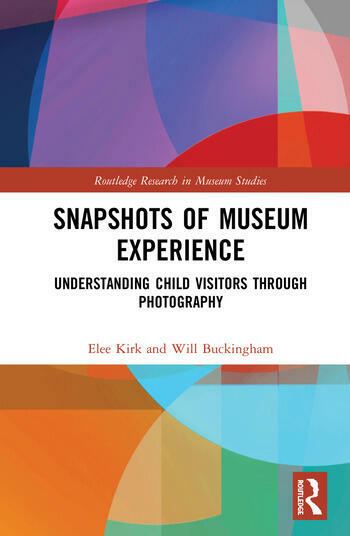 Using a method of photo-elicitation with four-and five-year-old child visitors to the museum, the book investigates children’s experience of the museum, and in the process undermines many of our assumptions about the interests, needs and demands of child museum visitors. Drawing together the fields of museum studies and childhood studies, the book considers children as active creators of the museum visit. It investigates the way that children navigate and take control of the physical and social spaces of the museum, finding their own idiosyncratic pathways through these spaces. It also explores how elements of the museum ‘light up’, becoming salient to the child visitor. Finally, it investigates how children make sense through intellectually and imaginatively engaging with these elements of the museum visit. Snapshots of Museum Experience gives a unique insight into the sheer diversity of children’s museum experiences and discusses how museums might cater more successfully to the needs of their child visitors. As such, it should be of great interest to academics, researchers and students in the fields of museum studies, visitor studies and childhood studies. It should also be essential reading for museum educators and exhibition designers. Elee Kirk was a Senior Lecturer in the Institute of Education at University College London, UK. Will Buckingham is a freelance writer based in the UK.